We give grantees money, it is true, but also something else. A grant from Chinook Fund draws groups closer to Colorado’s progressive social change movement, via our unique grassroots community-led grantmaking process in which applicants meet each other and meet the grantmakers, who are also working in Colorado’s progressive social change movement. Applying for a grant from Chinook Fund is different from applying to other foundations. You’ll start to learn how as you check out our materials online or contact our staff. Our last fiscal year, we gave out close to $120,000 in grants through our grassroots community-led grantmaking process and Giving Project. This year, we will give out grants from $1,000 to $10,000 to a range of groups working on human rights, racial justice, economic justice, environmental protection, peace and international solidarity. Will your group be able to apply for a grant? We prioritize proposals with leadership and constituency from historically marginalized communities and work that engages in Community Organizing (see definition in drop down below). We look for work that is collaborative, risk taking, and strategic. We fund groups with budgets under $350,000, and look for organizations with diverse funding sources. We accept proposals from groups without 501c3 status as long as they have a fiscal sponsor or organizational bank account. Is the organization working to build a multi-racial, multi-class, multi-gendered social justice movement? Lasting Effect: The work makes change not just for one individual today, but for the community as a whole, and for future generations. Generally this means organizing collective action to change systems and institutions. (Will the proposed work help build concrete and lasting political power to address the underlying causes of the problems that it addresses? For additional information, including definitions and explanation of identities, click here to download a supplemental informational packet. Be based in communities facing injustice or oppression, including but not limited to: communities of color, low-income communities, LGBTQ communities, disabilities communities, immigrant communities. Chinook Fund supports non-profit organizations, including those that do not have 501(c)3 status. Fiscal sponsorship for those organizations without tax-exempt status is recommended but not required. If a fiscal sponsor is not used, an organizational bank account is required. the process of bringing affected people together to use their collective power to win improvements in their community and change the power structure to advance social justice. Led by the people most directly affected by the issues the organization is working on. Continually builds leadership from within its own membership, base, or community. Works to understand and address the root causes of the issues, not just the symptoms. Brings people together to build power they wouldn’t have individually. Uses that power to create systemic change, which includes altering unjust power relations. Sees itself as a part of a larger movement for social change and works towards strengthening that movement. Has clear demands for systems or policy change that are backed by community support. Cultural organizing integrates arts and culture into organizing strategies. It is also about organizing from a particular tradition, cultural identity, community of place, or worldview. How oppressed communities holistically respond to and intervene on generational trauma and violence, and how they innovate collective practices that can impact and transform the consequences of oppression on their bodies, hearts, and minds. We convene a group of community activists who have direct experience working for social justice on the ground to lead decision-making around all of our funding. We are constantly working to ensure that our grantmaking committee is representative of the diverse communities, issues, and regions we fund, and we partner with donors/allies who follow the lead of activists. This means that Chinook is led by, and accountable to, the communities we serve – just as we require our grantees to be. And it means our committee is ideally suited to ensure that Chinook targets its resources to the organizations with the most potential and the best track record for making effective social change in Colorado. Giving Project cohort members review all proposals, conduct site visits, and make funding decisions using a unique consensus-based process. In all its deliberations, the committee is bent towards determining which organizations will transform society into a just and free environment for all people. Start-Up Grants are available to groups that are less than 4 years old. Groups must demonstrate a vision and plan for meeting Chinook Fund criteria, but do not need a proven track record of success. Groups can apply multiple times in this category, as long as they are less than 4 years old. The maximum grant award is $4,000. Established Grants are available to any group, but the competition for grants is tougher, as it includes organizations that have been working successfully on social justice issues for a number of years. The maximum grant award is $10,000. Multi-Year Grants will be considered for organizations who apply in the Established cateogry, have been funded at least twice during the last 5 years, and who receive the highest level of funding in the current cycle. Please see Funding Guidelines for more details. Chinook typically awards grants twice a year. Deadlines for proposals are usually in February and August. Grants are dispersed in June and December. Grants must be postmarked or delivered to the office by 5pm on the deadline date. Are you a new grantseeker or a past grantee that needs a refresher on the grant application process? If your organization or grantwriter is new to Chinook Fund, we strongly recommend attending our Grant Application workshop where we will give an introduction to Chinook Fund, funding criteria and an overview of the new grant application process. While we understand small non-profits are usually very busy, we guarantee that this will save you time, effort and money in the long run. This workshop will help you to determine if you are eligible to apply for a Chinook Fund grant and teach you some basics in writing a successful Chinook Fund application. The workshop is free. Bring a brown bag lunch and join us at our office for a hands-on training. Workshops are held a month before the grant deadline. If you have any questions about the workshop, to RSVP, or would like to be on the workshop mailing list, please fill out our Workshop Webform below. Download the Funding Guidelines & Grant Application Forms. Please be sure to read the guidelines thoroughly before working on your proposal. Follow the instructions and use the checklist as a guide to prepare your proposal package. Call us with any questions you may have! To assist prospective applicants in better understanding our revised Funding Guidelines and Funding Processes, and to make a Grant Application Workshop readily accessible to applicants outside of the Denver Metro Area, we have devised a 3-part Online Grant Application Workshop Series. Explores: the Chinook Fund’s history, values and philosophy; how grantmaking decisions are made; and background. Examines: the Chinook Fund’s three key funding criteria; additional guidelines; funding categories, multi-year grants, and funding deadlines. Details: the grant application forms, including the budget form, diversity chart, and final checklist. Grants must be postmarked or delivered to the office by 5pm on the deadline date. Please make sure all proposals are mailed or dropped off at: 1031 33rd Street, Suite 237, Denver, CO 80205. Are you a new grantseeker or a past grantee that needs a refresher on the grant application process? 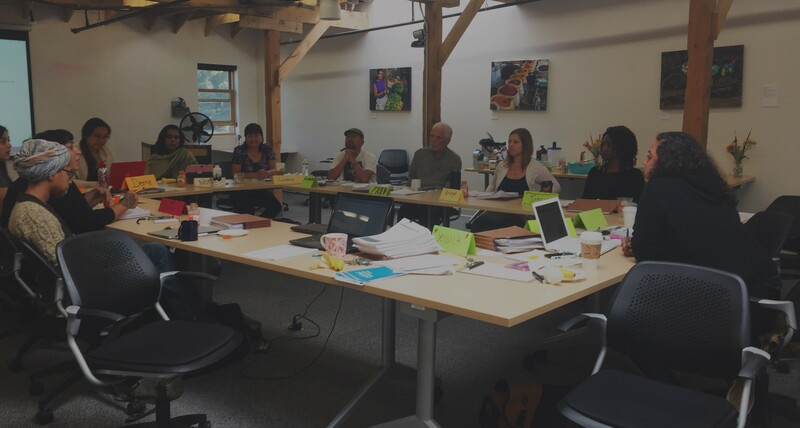 If your organization or grantwriter is new to Chinook Fund, we strongly recommend attending our Grant Application workshop where we will give an introduction to Chinook Fund, funding criteria and an overview of the new grant application process. While we understand small non-profits are usually very busy, we guarantee that this will save you time, effort and money in the long run. This workshop will help you to determine if you are eligible to apply for a Chinook Fund grant and teach you some basics in writing a successful Chinook Fund application. The workshop is free. Our next workshop will be on July 31, 2019 via Zoom Meeting. If you have any questions about the workshop please fill out the form below. Will you be attending this workshop in person or joining remotely? Whichever way you plan to join us, we will send you all the details after you RSVP. What will you be using this funding for? Have more questions? Feel free to reach out to us!